In celebration of Earth Day and The Most Greenest Ballpark In America, Our Washington Nationals are offering $3 Discount Seats to Wednesday's Opening Home Series Finale against The Atlanta Braves. All seats priced $10 or more can be purchased for the reduced amount by simply showing a Metro Fare Card or Metro Smart Trip Card. 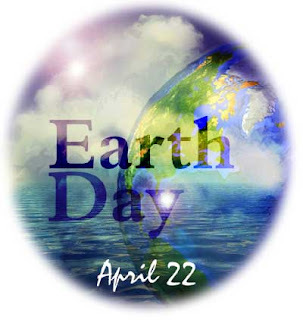 WHAT: The Washington Nationals today announced a special Earth Day Ticket Promotion for their game against the Atlanta Braves on Wednesday, April 22. All fans who present their metro farecard or SmarTrip card at the Nationals Park Box Offices will receive $3 off any ticket priced at $10 or more. Transactions are limited to one ticket per person with a farecard. Nationals Park is the only LEED-certified outdoor sports arena in the country. The park has a 6,300 square-foot green roof over the left-field concession stand, high efficiency field lights, recycling bins throughout all concourse, over 250 bike racks and a bike valet program which operates out of Parking Lot C.
Its interesting to note how the comments go up and down on the other blogs (Nats Journal)depending how the Nats do. With a couple of breaks they would be on a 6 game winning streak. Its a marathon not a sprint. Patience is required!